Summer came, and the feet in familiar shoes become quite hot. Of course, no one is forced to abandon the comfortable shoes, but we can all agree that in such shoes, the foot perspires heavily in the summer and has a characteristic odor. It's not very aesthetically pleasing if you have to remove your shoes, because others can feel this smell, and sneakers will need to be washed more often. Perspiration is a natural process and cannot be avoided. The problem lies in the germs that cause the odor. The skin is a huge amount of skin mites, bacteria, and other microorganisms. Some of them are designed to protect, and others, on the contrary, irritate the skin and create discomfort. 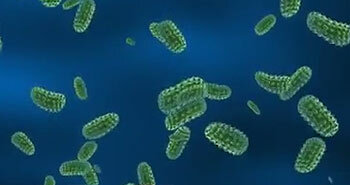 Usually, the bacteria that create the unpleasant odor, among them. While the foot dry, no smell, but as soon as the foot will sweat, within minutes there is the smell. The fact that the humidity is a perfect breeding site for these bacteria. To smell, to get rid of the bacteria that cause it, well or to reduce their number to a minimum. The first rule that will help – do not neglect the hygiene of the body. Before putting on socks and shoes, wash feet with soap (preferably antibacterial or tar), use the brush to cleanse the skin. Treat the skin with special products that you can buy at the pharmacy. Such means can be made independently. You need to buy a bottle of mineral water (0.5 liters) and pour it into a container with a spray. In water, add few drops of essential oil (peppermint, pine, tea tree, green tea, eucalyptus, fir). They all have antibacterial properties. Spray the prepared mixture on your feet before you put your shoes on. Guaranteed to dermatologists, the odor does not appear at least for 5 hours. If the situation is more critical, then you can make a foot bath. Heat a small bowl of water, add 2 tablespoons of sea salt, a teaspoon of iodine, half a Cup of vinegar (preferably Apple cider). Place the clean feet in the prepared solution and keep until, until the water has cooled. This will help to eliminate bacteria on your feet.